Find a vacation home to rent in Santa Teresa Gallura from our list of vacation rental properties. Campaya has over 17 vacation homes available in Santa Teresa Gallura, which give you the possibility to locate a unique accommodation in Santa Teresa Gallura which completes your check-list in search for the perfect self catering vacation apartments in Santa Teresa Gallura or vacation villas in Santa Teresa Gallura. Holiday apartment in terraced house in Capo Testa (near Santa Teresa di Gallura) located only 200 m from the seaside, in an area rich in beaches. Holiday apartment, a few steps from the village of Porto Pozzo, on the first and second floor of a building in the middle of a field in the countryside. One room holiday apartment in Capo Testa with veranda and garden. It is located in an area rich in beaches, among which the bay of Santa Reparata. Apartment on the second floor of a nice apartment house in Santa Teresa di Gallura, ideal for your beach holiday in Sardinia. Holiday apartment in a terraced house only 200 m from the seaside in Capo Testa (Santa Teresa di Gallura). Holiday apartment in Capo Testa with overlooking sea veranda. The area of Capo Testa is famous for its archeological sites and beaches. Holiday apartment in Capo Testa, only 200 m from the sea. It is composed of 2 bedrooms, living room, kitchen and bathroom. Great veranda with sea view. Holiday apartment in Capo Testa overlooking the sea. It has 2 bedrooms, living room, kitchen, bathroom. Outdoor space with table and chairs where spending nice summer evenings. 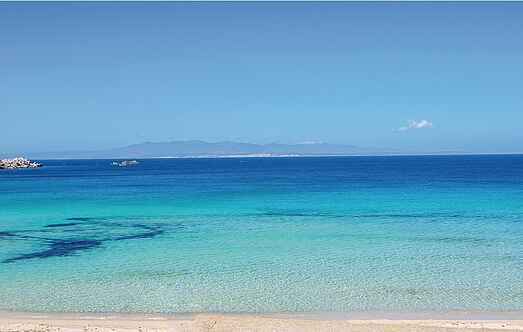 Holiday home on the beach of Capo Testa, near to Santa Teresa di Gallura in Sardinia. Large garden and terrace over the sea: this house is ideal for sea and beach lovers. Two -room holiday apartment in Capo Testa with veranda and garden. It is located close to the bay of Santa Reparata. Enjoy your holidays in the most beautiful island of Italy! Our house is located in a historic fishermen village, just 300 meters from the port and very close to famous white sand beaches. Daily cruises will take you to visit the best hidden bays, including the charming Budelli Isla, famous for her pink sand.